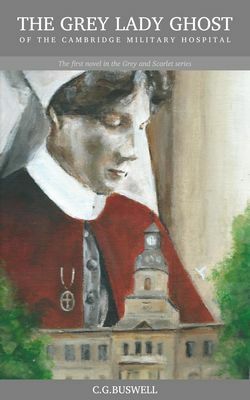 Many hospitals have a Grey Lady ghost and the Cambridge Military Hospital in Aldershot had a very special one. She was thought to be a Nursing Sister of the Queen Alexandra's Imperial Military Nursing Service from World War One. There were many rumours as to how she met her death and came to haunt the wards and top corridor and these are explored in my novel. So how did I come to write about the Grey Lady ghost of the CMH? I was researching the history of the hospital many years after it closed and discovered that the buildings and site were to be turned into flats and houses by a developer. This got me wondering if her spirit still walked her wards and how would she feel about not having patients in her wards anymore, or indeed would she consider the residents as her new patients? Watch a clip of me talking about my novel at BFBS Aldershot.